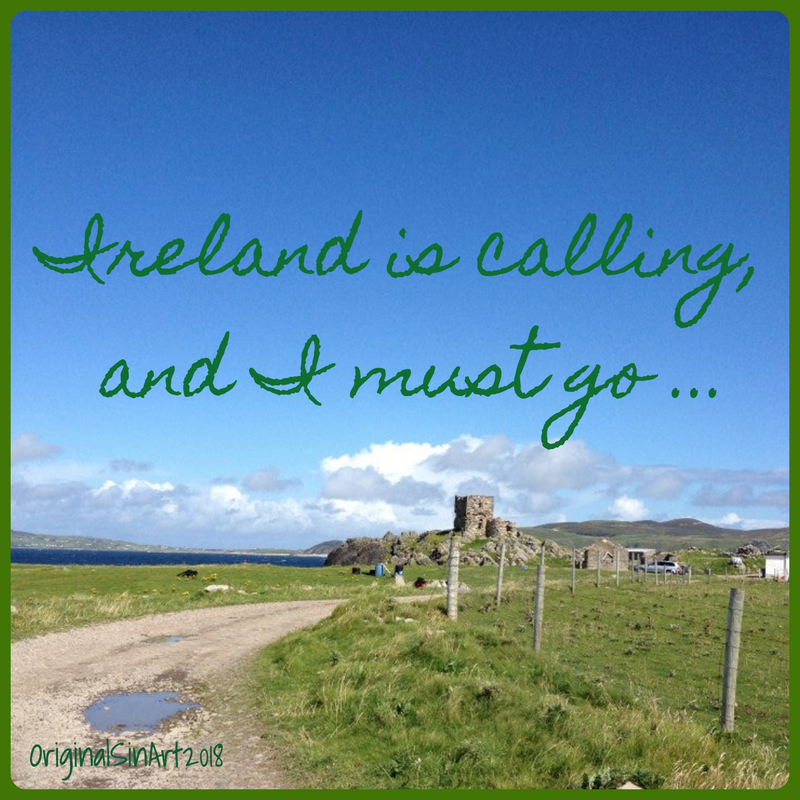 Hi everyone, I just wanted to let you all know that I am off to Ireland, and won't be back until the end of the month. I have not been back to my soul-country for eight years, so you can imagine how excited I am! And I have not had a proper holiday from work, (i.e, NO access to work accounts, social media, emails or anything) for almost six years, so this time I am going to take full advantage of the remote locations that we will be staying, and I will unplug and RELAX! The photo below was taken at Ballyliffin, Donegal, which is where my mum's side of the family is from. My great grandparents had a little cottage on the beach, and all the generations of the family since then have grown up visiting it and loving it. I spent every summer holiday of my childhood and teenage years there, and although I was born and raised in England, I think of Donegal as my home. I have so many happy memories of the shore, and it spoiled me for other beaches. This beach has it all; Soft sand, pebbles, rocks, rock pools, cliffs, surf, sand dunes, and even a castle! These days if I visit a beach that is just sand, I find it very boring, I am sorry to say. We will be spending a week at Ballyliffin, where I am looking forward to walks along the shore and over the rocks, good meals and proper pints in cozy pubs, and stories by the fireplace in the evenings. The second week we will be in county Clare and exploring a lot of places I have never been to before, like the Cliffs of Moher, the Burren, etc, and the last day will be in Dublin. I have been to Dublin multiple times, but not for a long time, and not since I was old enough to enjoy the night life and explore the city, so I'm looking forward to that too. So, wish me good weather, (I don't care if it's cold, I just don't want it to rain all day, every day) and I wish you all a fabulous summer. I will be in touch with more photos after I get back!